Is Tesla Stock Headed Down Post Lock-Up? Electric car maker Tesla Motors (s TSLA) is about to hit a public company milestone. The company’s lock-up period — the 180 days after the IPO that underwriters agree to not sell the stock to prevent a company’s stock from gushing too quickly onto the market — is reportedly up on Monday, and some analysts think that means the stock is headed for a major slide. Already on December 23rd Tesla’s stock fell almost 7 percent on the news that Capstone Investments issued a sell rating and a $22 price target, and the stock closed around $30 per share. Capstone thinks the stock has been overvalued, and that the company will face increased competition from big automakers. Update: As of 10:30 AM EST Tesla’s stock had dropped 12.88 percent to $26.22. We’ll update the stock throughout the day. Update 2: As of noon EST, Tesla stock had dropped 16 percent to $25.27. Update 3: Around market close EST Tesla stock remains at $25 and change. Tesla priced its IPO at $17 per share back in June; its shares started trading at $19 on the morning of its debut, and its stock traded up 40.5 percent on its first day. Tesla’s stock traded around $20 for months, and soared up into the $30?s per share range last month. I wouldn’t be surprised if its shares started to trend down on Monday. Tesla is a pioneer and its brand is very cool now, but it won’t be making a profit or substantial revenues until closer to 2013, and will have to turn to a variety of ways to keep its stock up. 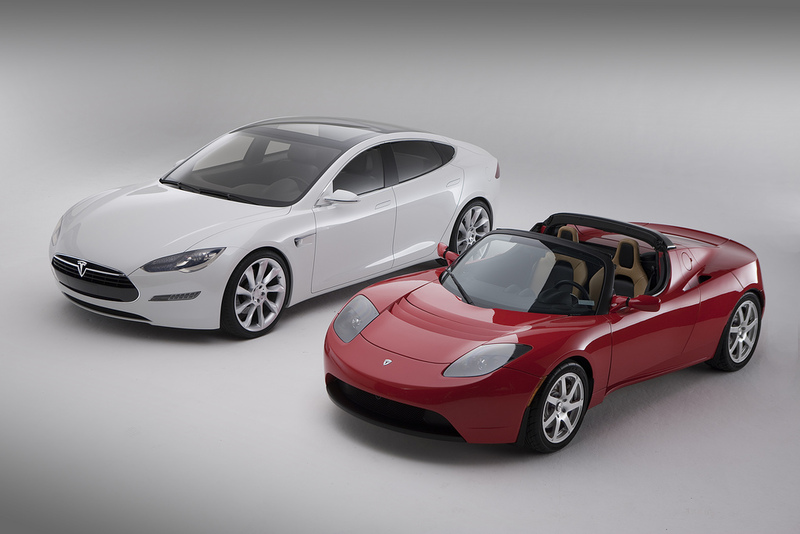 While the company announced several high profiles deals with automakers, its IPO was one of the most successful in the greentech sector, and it bought the NUMMI plant for cheap, the company still has only sold around 1,400 of its high-end, Roadster electric sports car, and won’t be selling its Model S sedan for the average American car buyer until late 2012/2013 (if it meets its target date). It will also have a gap between when it stops producing the Roadster and when it starts selling the Model S.
Here’s who made a pretty penny post lock-up.